An indispensable tool that I use to help companies differentiate their brand is a representative engagement research in the light of the 10 tips of engagement as stated below. These tips will help you decide why individuals work for your organization. This gets to be a vital insight as you make your brand of employment. Employee engagement should not be based on the satisfaction of the employee. The least thing you would need is a team of employees that are satisfied but not willing to improve their performance. Adopting a performance drive and performance driven culture plus encouraging healthy competition will motivate your employees to improve their performance. Many studies prove that a key employee engagement drivers are the actions of senior management. Top management must show support for an engaged company culture by individually accepting their company’s values. As the old saying goes, “representatives join incredible organizations, yet quite terrible bosses” is valid. Ensure to keep engaged your firm’s first-line employees and executives and regularly keep touching base with them to get their valuable inputs. Successful leaders understand the potential of a robust communication plan. Create your own powerful and all encompassing communication plan that you can use to communicate effectively with your team. Ensure that your plan is built in accordance with your company’s engagement policy and is clear, consistent, and transparent. Gone are the days your philosophy used to be “treat people the way you want to be treated.” That is old school. The new mantra that management follows is “to treat people how they want to be treated.” This is more of an individualistic approach and recognizes the fact that different people come from different backgrounds and thus their expectations in regards to how they should get treated vary from each other. Understand how someone expects to get treated and making changes to your method of handling their expectations can go a long way in improving engagement. It’s very difficult to keep motivating and engaging employees continually over a long period of time. Instead, one should try to cultivate a motivational culture with their workforce. A culture where employees themselves get motivated and remain engaged while motivating others within the team. A feedback mechanism where immediate bosses ask their employees about what they think; in order to implement this, an ’employee engagement survey’ is one of the best tools to both assess an individual employee and the organization’s pulse. When it comes to motivation, it has been observed that employees are considerably motivated by a sense of achievement as against money. A company culture that encourages appreciating achievements goes a long way in maintaining high motivation levels as compared to money motivation which can degenerate of employees perceive unfairness. When we compare top management with middle or lower level management and even with other employees, one realizes an important fact that employees at almost all levels within the firm are not much different in terms of leadership. They all want to be working with a winning organization. 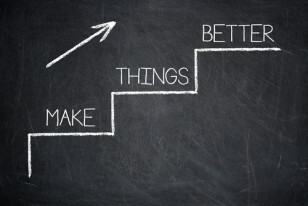 As a leader, one needs to reinforce ‘line of sight’ by communicating with their employees their current direction of growth, their performance evaluation, and how they fit in. 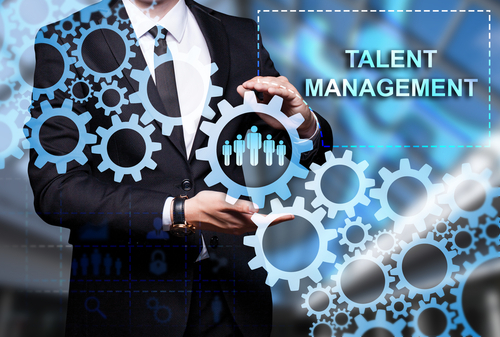 Once your organization’s culture and traits have been fine tuned to accommodate new set of employee engagement enhancement traits, ensure that all future hires should appreciate and follow these traits. A lot of emphases is placed on a candidate’s education, background, experience and skills. 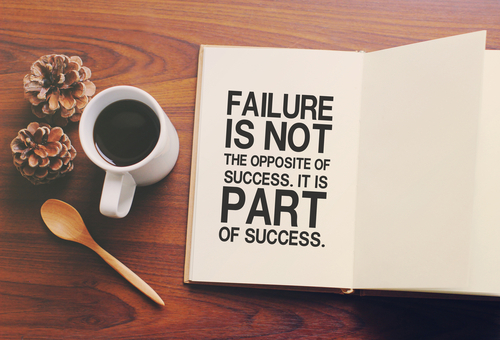 However, people succeed or fail due to their behavioral traits. 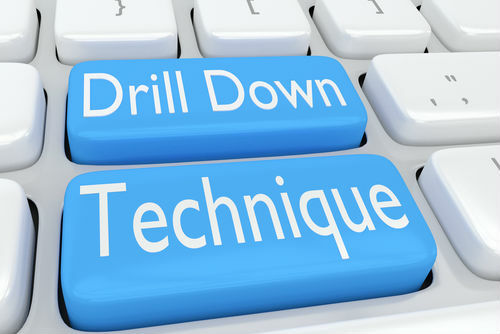 Ensure that new recruits are evaluated on the basis of their behavior as well. “Culture isn’t just one aspect of the game- it is the game. In the end, an organization is nothing more than the collective capacity of its people to create value”. On the business blogs and management related articles, the word ‘Company Culture’ is often highlighted. It is the most common term used in all the business related articles. But what does this term ‘company culture’ actually mean? What actually a ‘company culture’ means? In literal terms company culture is a company’s shared convictions, values, and practices. It is the way a company sees the world and acts. It is based on what the workers do and what their activities mean to them. A company’s culture influences everything its representatives do during the work or off the work. It counts how vivaciously they put their efforts in collaboration, critical thinking, advancement, client administration, efficiency, quality, and benefits. The company culture makes it safe for a man, division or the entire organization, to assume liability, raise issues and take care of issues, to follow up on new open doors, or to move in new, imaginative headings. If someone =wants to know the culture of a company, he/she must take a look at what the employees and other staff of the company are doing. This article is about how to maintain a great company culture. 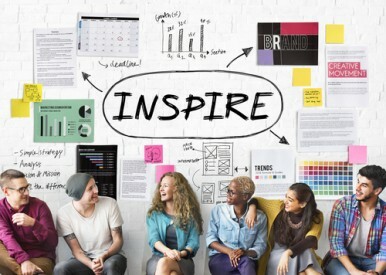 Every company has its own unique culture but universally the company culture is based on the employees and the working environment. 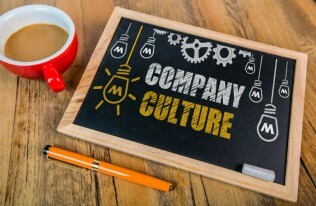 Why care about your company culture? 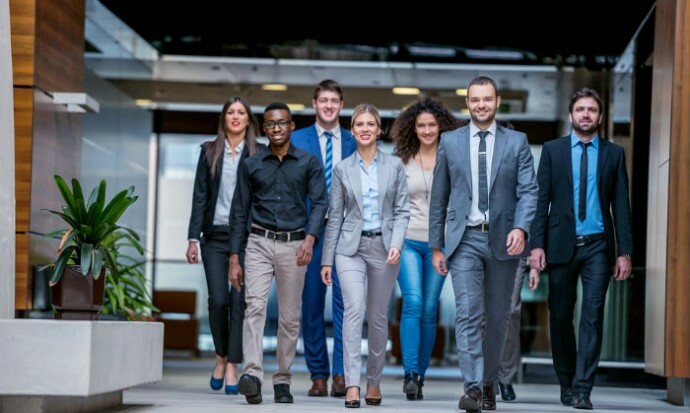 Your company culture characterizes the route in which your associations connect with each other and how the group cooperates with the outside world, particularly your accomplices and suppliers. The perfect culture manages the group, and additionally rouses and spurs representatives. It is likewise in charge of pulling in and accomplishing incredible ability, and also making a fun, cheerful and energizing workplace. An awesome company culture likewise draws in incredible partners who, invariably, make extraordinary achievement! Individuals will need to work with you as a result of what you have confidence in and stand for, as opposed to exclusively on personal abilities alone. Understanding this aspect will rapidly permit you to see the significance of company culture. How to make a company culture great? Culture-based hiring implies that workers’ convictions and practices are in arrangement with their manager’s core values and company’s current culture. 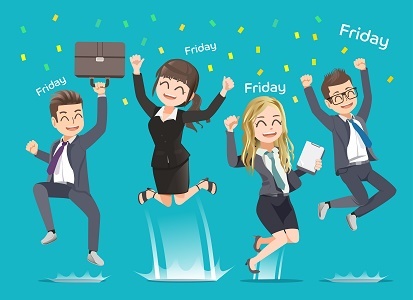 Research demonstrates that individuals, who fit very much into their organizations express more prominent employment fulfillment, perform better and will probably stay with the same firm for a more extended time-frame. 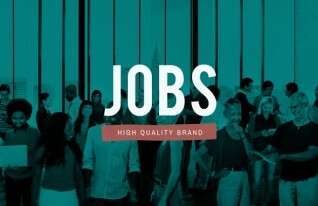 The initial phase in employing for culture based hiring is to have the capacity to lucid what qualities, standards, and practices characterize your business – ought to be obviously communicated in the majority of your correspondence materials, including your website and enrolling instruments, particularly work postings. 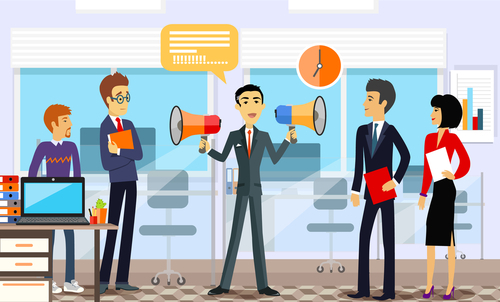 Your business advertisements must reflect your business culture and associate back to your core values and beliefs which help associations around the globe pull in, draw in and hold talented staff. Having solid company values and mission is just like a half battle won. The second half is to let your employees know these values and mission. As indicated by the Human Capital League, just around 42% of workers know their association’s vision, mission, and values. In what manner would you be able to anticipate that your representatives will draw in with your values, on the off chance that they don’t know what those values are? Effective corporate communication truly begins with a sound business culture that advances and models the same quality framework starting from the top. Pioneers of the organization should unmistakably characterize the estimations of the firm, the vision of authority and expected practices for representatives. This is the base of your company culture. Having characterized objectives and qualities is the place fruitful communication starts. Engaged associations have solid and credible qualities, with clear confirmation of trust and decency taking into account shared appreciation, where two-way guarantees and duties – amongst bosses and employees – are comprehended, and are satisfied. Keep in mind that good idea can originate from anyplace. Not all good ideas originate from top management. There’s no tenet that says everything must be determined at the top. Many times, the dealing hand is in a better position to make the right choices as he/she is well aware of the situation and deals with such issues day-in and day-0ut. 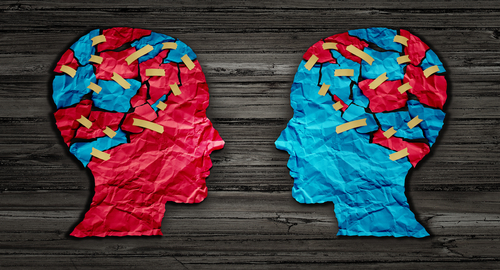 No company or organization can bear to hold up for the leader to choose each vital issue. Choices shouldn’t be made in a vacuum. 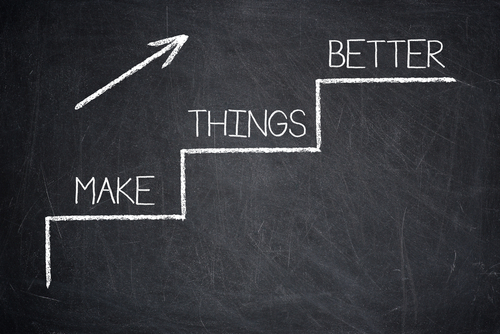 Each leader of the company needs a consistent stream of new thoughts with a specific end goal to settle on choices that are sound, auspicious, and significant. Without a supply of crisp and clear thoughts for taking care of issues and deciding, no organization and it’s management can keep an edge. Great employees would prefer not to be an unrecognized part of a machine. They need to have a voice and an important effect on the organization and its bearing. They look for the chance to make something useful for the organization without the requirement for administration endorsement. Amazing results are observed when employees can put resources into their employments along these lines: they work harder, and the organization is more effective. Realizing that great choice can originate from anyplace is a foundation for drawing in gifted people who will reinforce your organization’s way of life. Numerous firms in which representatives work alone or in little groups concentrated on a solitary point may see a reduction in productivity when contrasted with companies that encourage cooperation. In a company with an individualistic culture, workers/employees tend to move to guarantee that they get the best accessible assets, whether those assets are office supplies, capable representatives or pined for parking spots. In a teamwork culture, colleagues coordinate to advance the group’s destination, regularly setting these company targets in front of their own. If you need your company culture to develop it will achieve a phase when these important abilities should be enhanced and augmented. 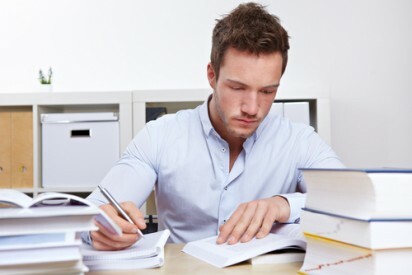 Getting the right blend of individuals to supplement and strengthen your business is vital. Having a powerful management team helps you make a more productive and skilled business. Whether your organization is long established or just a start-up, you should focus on these points to build on and successfully create an effective company culture. The above 4 tips can serve as a great recipe for success in making an effective company culture. 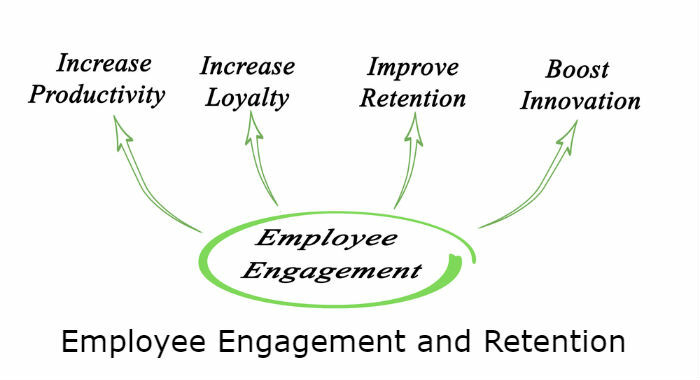 The art of employee engagement is bound to be enriched with the lead of heart. 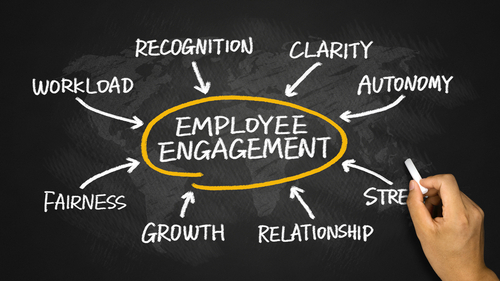 When it comes to promoting employee engagement in a company, a manager’s perspective should never be deprived of trying to lead with the heart because it’s not only about keeping the employees together but also about inspiring and motivating them to work marvelously. 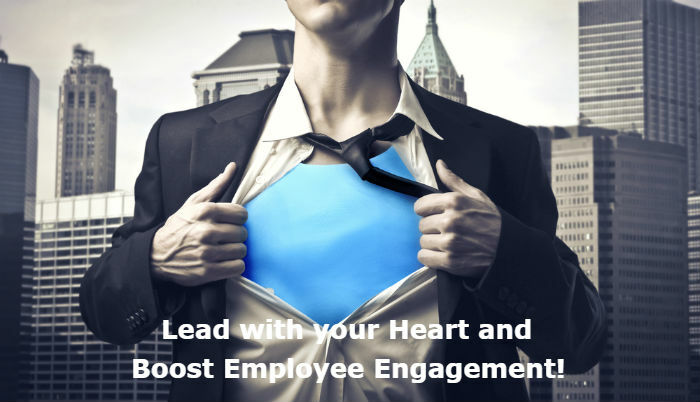 Lately, three major things to be kept in mind while trying to boost employee engagement by leading with the heart were mentioned by a Benefit’s pro article. Following is a comprehensive yet crisp explanation of each of the three points necessary to organize a healthy environment and maintain an amazing lead with the heart for long-term employee engagement. Knowing strengths and weaknesses: A manager and his working team is supposed to work in a complementary fashion. This would mean that they work together in a way in which the weaknesses are dampened by a co-worker’s strengths and the strengths are further elevated. For things to work this way, a manager is supposed to know clearly of his/her strong points and shortcomings. This will also enable him/her to be flexible about new ideas and point of views. Demonstrate and live by a Clear, Compelling, and Continuous vision: For being able to succeed to make your team work effortlessly for the benefit of the company or industry, you need to have clear goals in your mind as well as plan. The determination and devotion of the employees can only be improved if the plan and future advantages of attaining the current goal are demonstrated to them in a proper way. This would inculcate a sense of betterment, confidence, strength and smartness in each one of the employees. ‘Listen for Possibility’: In this point, the I stress the importance of being open to creative ideas and other possibilities put forward by the employees. It highlights the fact that an employee will only feel at home in the organized team when his/her opinions don’t go unheard and are dealt with logic as well as paid proper heed to. There’s much more to this strategy; this will also open a new horizon of ways and ideas of completing the goal for the manager and broaden his/her perspective in a healthy way. 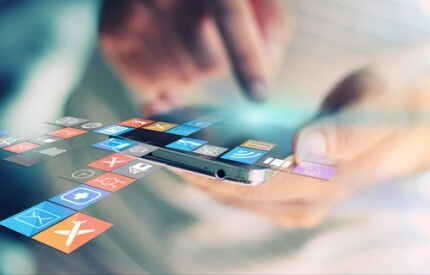 You may have tried to avoid a social networking platform, but the reality is that it has become an inevitable part of almost everything in a frantic world like that of today’s. When the idea of pursuing a job pops up into one’s mind, professional websites occupy the maximum space. As stated before, that a social media platform like Twitter is so widely grown and popular that it can surprisingly help you a lot to find yourself the right job. If you want to use Twitter for Job hunting, but oblivious to the ways of using it; worry not, we have come to the rescue. 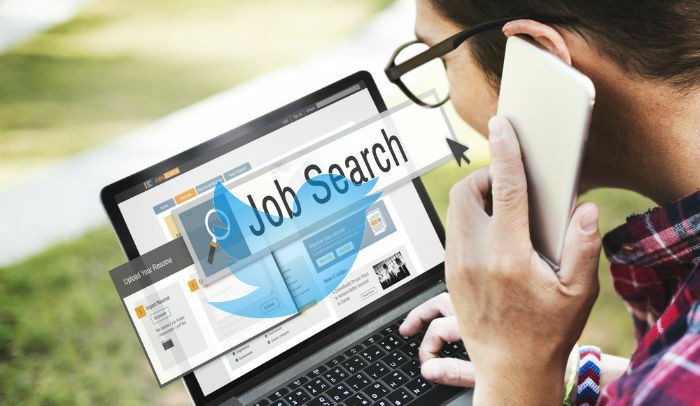 The first to-do needed to be checked while doing a Job Hunt on Twitter is to start following companies or people that might have any personal or professional link to your desired industry or the one that you already have some expertise in. The accounts that you are supposed to follow on Twitter in the first place shall be relevant to your degree, chosen line of profession or the sector of a certain industry that you selected. Following a Twitter account will enable you to observe the person or company silently and without much ado. Moreover, that is what forty out of each of the hundred twitters users do; they don’t post but only observe. Lastly, access to everything is bad, and it includes the task of observing too. This part of the guide to finding a job on Twitter is pretty much automatic but has to be strictly professional. Automatic, majorly because once you join Twitter; you will be guided to do some things step by step to set up an account. This would include writing a bio as well as a picture that would appear as your display icon. The bio and the picture, both shall be professional. If you face any problems with coming up a catchy but professional bio, you can browse Twitter for some ideas that match your thoughts a little. 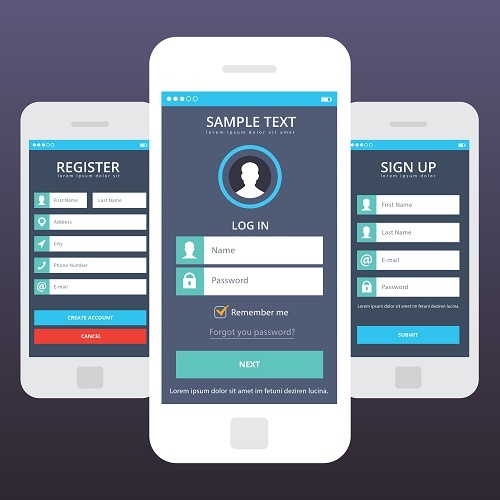 Building a profile is slightly tougher than creating one, but it is worth the benefit. Once you have observed what others are sharing or retweeting on Twitter, you can start posting as well. Any article, piece of writing, tweet that you update or share should be impressive, funny or definitely, attention grabbing for the targeted audience. 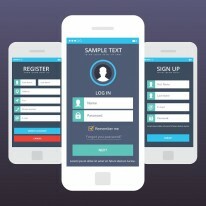 This will ensure an online presence of you for different companies or employers’ profiles. A hash tag is a phrase or a word written with a “#” in the beginning. On Twitter, adding “#” to any word or phrase, in the beginning, makes it clickable. Upon clicking the hash tag, other posts with the same hash tag appear in front of you and hence, make the research very relevant. You can find stuff useful for yourself by clicking on relevant hash tags, and if you use the hash tags correctly and smartly, your target audience will get a glance of your tweet because of the hash tag that they searched is the same as the one you used in your tweet or retweet. Along with that comes “Favouriting”. On Twitter, any tweet or post can be saved by making it a favorite. All the posts or tweets that are “Favorites” by the user appear on the profile so he or she can get back to it later on. The people you have followed will also be able to check the list of links or tweets that you have “Favorites,” so you’ll have to be very conscious to keep your profile professional and relevant. To be very precise and direct, your actual goal in this certain step is to get a large number of people retweeting or sharing your posts. This is only possible if your tweets are worth it and have the right hash tag to grab the attention of companies, pages or Twitter users that have a large following. 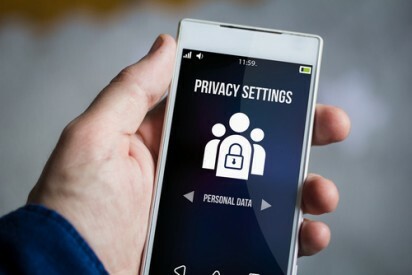 Doesn’t de track yourself by updating simply what is trending; it is supposed to be logical and reflect your professionalism and idea for the job. This is because the users that can help you with getting a job might not have the same interests or point of views as yourself hence, your tweets should be more often deprived of personal point of views and irrelevant substance. There is a huge difference between Twitter and a solely professional platform like LinkedIn. Twitter is meant to tell the potential employers about you what your resume wouldn’t but there has to be an extremely delicate balance between being professional and being personal. You should totally prohibit yourself from putting up anything on Twitter that can have an inkling of religious or political controversy. After all, you don’t want to repel any recruiter that might have come across your profile and has contradiction over a small political issue. Right? The privacy settings on Twitter are really good regardless of the fact that these settings just might be keeping any head-hunter to come across a detailed view of your Twitter profile. This is because users that you would keep unapproved from becoming your followers will be unable to see your tweets. On the other hand, your tweet will be invisible to the one who remains unapproved by you of becoming your twitter follower. The only benefit of this is that your tweets won’t go beyond your particular selected circle. These were a comprehensive guide to setting up your Twitter profile and how to bring it into use to get yourself a job that you desire or the one that you have been seeking since long. Don’t forget to update your LinkedIn profile because it might not be expanding as virally as Twitter is, but it is still a great professional networking platform. Executive recruiters, otherwise referred to as executive headhunters, are recruiters who concentrate on positioning executives within firms. An executive recruiter may fill job positions like high level management, lawyers, doctors etc., depending on their knowledge and niche experience. Many executive recruiters are skilled in a particular industry niches like medical device, pharmaceutical, information technology etc. and may either function on their own or work with an executive recruitment firm. 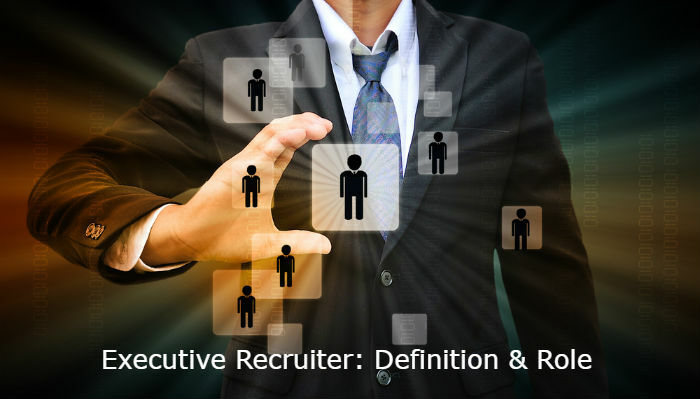 Read on for details on what is an executive recruiter and what are his/her roles. Here, it’s important to know the difference between an executive recruiter’s and a corporate HR professional’s role. While an executive recruiter usually works with an executive search firm – who charges a professional fee for placing candidates within firms, an HR professional works for a company to fill senior management roles and is usually on a salary. Such HR professionals especially in large companies may, focus on: Procurement, training, grooming and retention of executive level employees. What does an Executive Recruiter do: Executive search firms who help fill senior management positions usually work as a retainer or on a retained basis. Within retained recruitment, a company pays a recruitment firm to employ them for filling a particular job opening. The selected executive recruiter is the sole responsible recruiter to fill that position and candidates can only apply for that particular job through the selected executive recruiter. The reason external executive recruiters are preferred over internal recruitment for top management position is the very high lead-time (on an average 4-5 months) it takes for finding the best fit executive candidates. 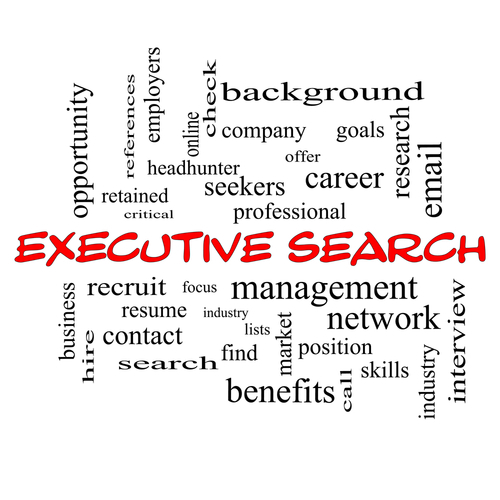 Not only do executive recruiters find the candidates, but also, they help their clients in negotiating salary, researching the market, coordinating the interview, candidate background checks, initial screening etc. Executive recruiter vs normal recruiter: The executive recruitment market is a very specialized market and executive recruiters usually concentrate on small high yield niches. Although a very few top management executive requirements exist for Fortune 500 companies (they house internal HR teams), the need for executive recruitment has been on the rise for large and medium size firms spread over all industries. Such senior positions often come with a package of over 100,000 and executive recruitment firms usually specialize and concentrate on such positions. Comparatively, normal recruiters may only focus on particular industries and not niches within industries. Advice for Candidates: If you are looking to work with an executive search firm or an executive staffing agency, an open and honest approach is the key to a successful placement. As a candidate, you should venerate a recruitment agency as a strategic career partner and try to build a strong relationship with their individual recruiters. Building such a congenial relationship will help you gain insights on and consideration for niche executive positions that fit your profile. Generally, there are fewer executive jobs than candidates. Executive recruiters are in no shortage of candidates. There are fewer open jobs than candidates at any given time. Thus, it’s always helpful if you establish a good impression and maintain your relationship with the recruiter. Moreover, the life-cycle of an average executive job opening is pretty long. Many a time, execution of executive placements takes 6-8 months (which includes: Search, short-listing, selection, interviewing, and negotiations). Owing to these long placement time-frames, executive candidates need to make sure that they maintain constant contact with the recruiter in order to gain insights and feedback at every step involved. Advice for Firms: as compared to general recruitment, retained recruitment for executives needs selection of top-notch expert recruiters. These recruiters should not only be expert in your industry, but also, they should hold experience and knowledge of your particular niche. Just selecting an executive recruiter will not serve your purpose. 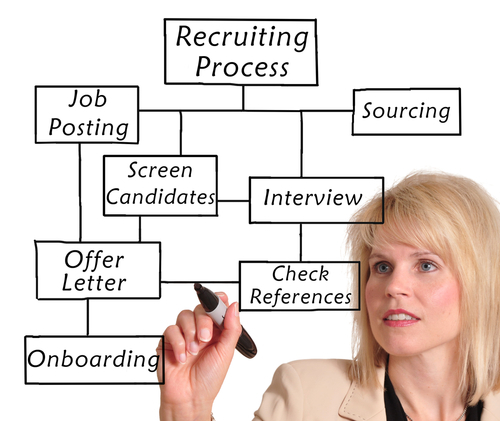 Further, the recruitment process for executives is time consuming. Firms have to be patient and trust the executive recruiter and their capabilities. Never rush an executive search process. Finding the wrong executive can be more expensive than following the complete due-diligence and selecting the right candidate. Thus, expertise in industry and specific niches distinguishes an executive recruiter from normal recruiters. This expertise coupled with trust has helped JRG Partners successfully fill many executive positions within firms from varying industries and industry niches. Over the years, we have built trust between our consultants and candidates on one hand and, between companies looking to hire executives and our individual recruiters on the other. If you are looking forward to work with an executive recruiter, look no further. Make contact with us and discuss your specific needs and our consultants will provide you with the best possible solution. III. If the task of recruiting such executive(s) requires both confidentiality and the use of special resources due to the expected difficulties that may arise within the recruitment process. IV. That the recruitment of such an executive may require connectivity with a network or access to referral sources and may even entail the conversion of business leaders into candidates. 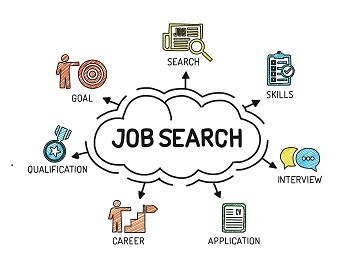 In all of the above scenarios, one should consider employing the “retained recruitment” services of a professional recruiter (recruitment firm). 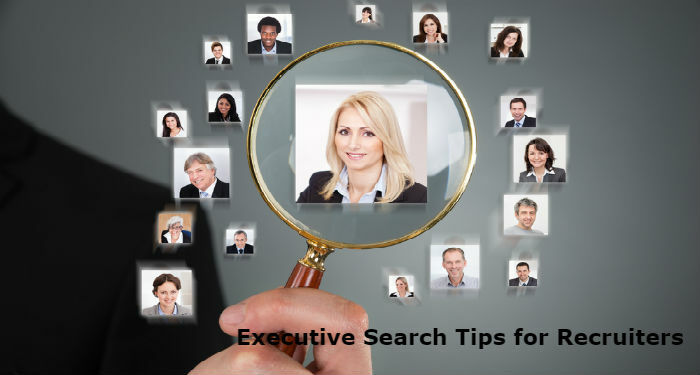 Very often, selecting the right executive search consultant plays the most important role in the success or failure of your executive search process. Thus, before selecting and engaging the recruitment firm, invest time in doing due diligence and assessment of your available options. Your research should include information on: which consultants are both: qualified and best suited to lead the executive search. Your choice of right recruitment consultant should be driven by the most important factors: suitability and efficiency. Quite obviously, many a times, the firm’s name and brand govern the choice of the recruitment firm. However, rather than choosing just a brand name, it is very important to ensure that the recruitment firm is best suited for the particular requirement. 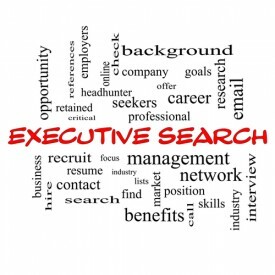 Remember, quality is of paramount importance when it comes to “executive search”. 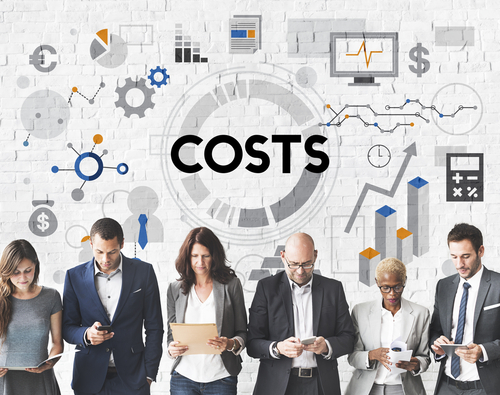 While cost-per-hire is a very good barometer for recruiting, however, when it comes to executive recruitment and executive search decisions, cost-per-hire should not be your only screening tool. 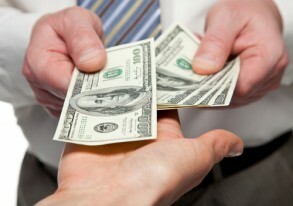 At the executive level, hiring is done for either business growth or profitability enhancement. Thus cost-avoidance should not be the sole guiding star. In order to hire the right executive, thus, importance should be given to either profitability or business development (as the case may be). Unfortunately, many firms delegate retained executive search to the lowest-bidding recruiters. It’s quite simple; you will get only what you pay for! Diversity recruitment is both the right and the smart thing to do. Particularly for senior level employees. Before the recruiter embarks on your executive recruitment process, consider the diverse perspectives you wish your team should include. Firms mostly think of “fit” when considering a candidate. A “fit” does not necessarily mean a candidate who is the same as your current team. Instead, you are looking for an executive who is both unique and contributes traits that may be missing in your current team. It is important: not to assume that your recruitment consultant will target diverse leadership candidates by themselves. You as a recruiter should specify to your recruitment firm that the objective of the executive search assignment is diversity. Top level executive candidates have equal career options as compared to other candidates. 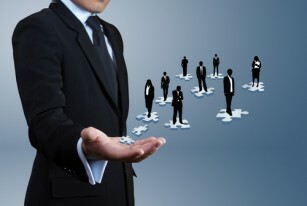 It is a wrong assumption that career options reduce as candidates climb the management cadre. Thus, recruiters should not assume such limitations. Another important aspect that every recruiter should remember is: the candidates are evaluating the recruiter as much as the firms recruiting them. Do not forget to portray the achievements of your firm within the interview. 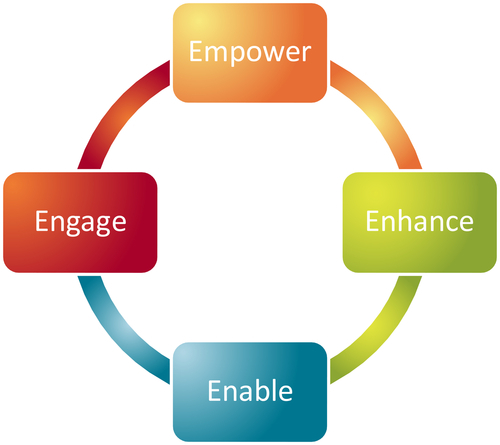 Be enthusiastic and highlight key points on your organization, your team and the current opportunity. If the executive is a good “fit”, he/she will be attracted to your firm’s achievements and will feel a sense of enthusiasm as well. In short it is all about showcasing the complete package by the interviewer. Timely interviews, evaluation and feedback are crucial aspects of success in recruiting. When it comes to executive recruitment, it is more so important. Candidates at executive level expect an expeditious interview process as well. If you are committed to be a stakeholder in your firm’s executive search assignment, ensure you follow a clear and timely schedule to meet, evaluate and communicate with both your recruitment consultant and the candidates in a timely manner. If, due to your tight schedule there is a delays in the candidate selection process, it could cost your company top candidates. When it comes to executive candidates, remember, the opportunity cost of losing the top candidate is huge; the best executive candidates will not wait for you if your decisions are not timely. While almost all recruitment consultants will offer reference check services along with their executive recruitment service, not all offer background checking services. Background checking function is very important specially when you are hiring executives. If, your selected recruitment firm is known to provide a good background check service, you can delegate background checking to them. Otherwise, background checks should either be conducted by the hiring firm or a special set of background check agencies. In any the cases, before conducting a background check, it is important to include a form for candidates to consent to a background check. Background checks should not only be limited to screening of candidates against the criminal records database; they should also include confirmation of: past employment; education credentials etc. To conclude, executive search and hiring is a complex process and is a process which firms seldom perform. A common checklist of things that you should consider while hiring executives is freely available online. 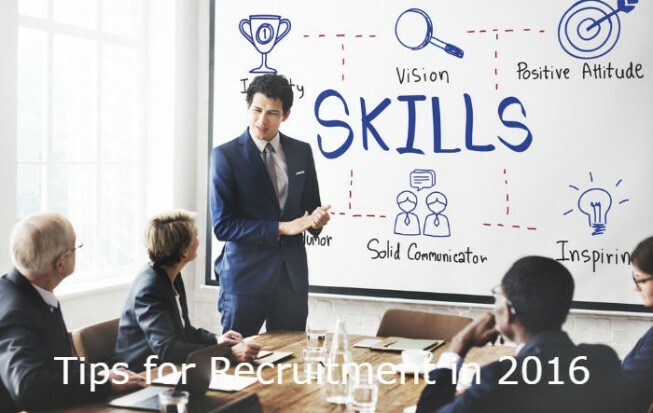 We at JRG Partners have populated the above tasks or tips for recruiters in order to assist them in addressing the more important and often looked-over aspects of executive recruitment. Hope our clients in particular and the US recruitment industry in general will benefit from these tips.